We couldn't be more excited by the amazing turnout at the launch of the Barista Guild of South Africa from here on out known as the BGSA. You could feel the anticipation in the room and the feeling that something great was about to happen. On behalf of SCASA, Kyle Fraser welcomed everyone. Baristas, cafe owners and industry leaders had travelled from near and far to be at Colombo Coffee & Tea. 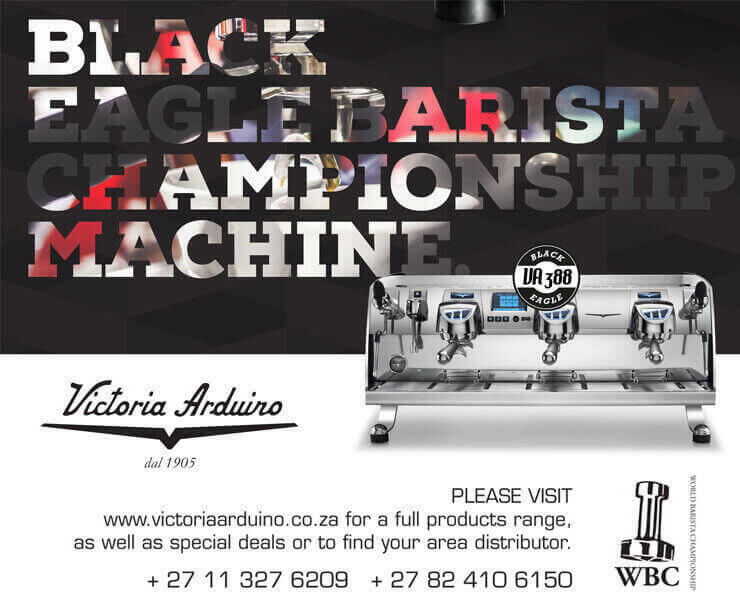 The two most recent SA barista champs were on hand to kick off the evening in fine style. Ishan is currently in training for the World Champs and flies to Kenya next week to compete at the AFCA African Barista Champs, so Craig Charity through him some curve balls and asked him to create a competition set on the spot so all attending baristas could see what professionalism looks like. After Ishan impressed, Craig got technical (as Craig is want to do) and explained his checklist for perfect espresso every time to be practiced by any barista wanting to produce decent espresso. 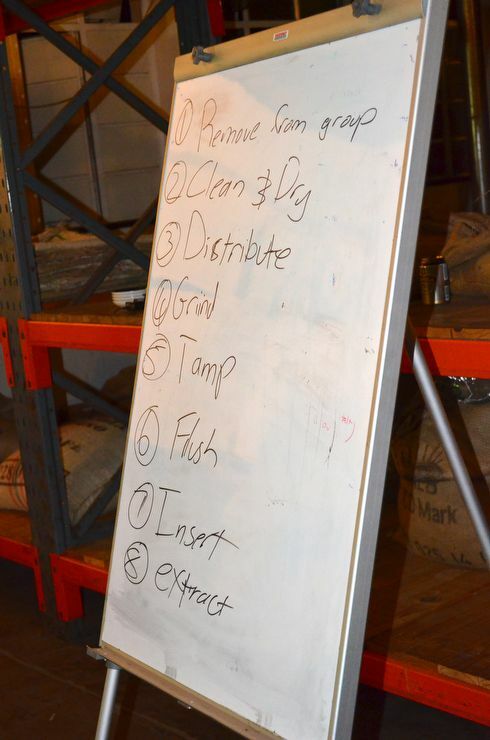 Use this checklist baristas! The large group then split into three groups of varying experience and ability. 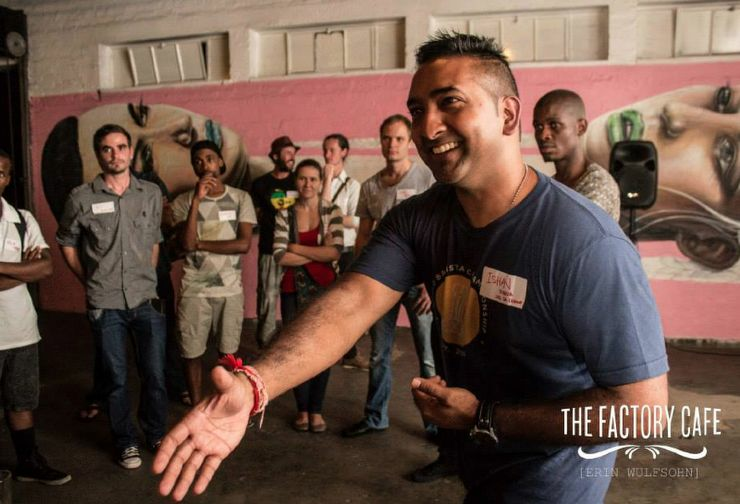 Ishan took the Competition Level baristas and they picked his brain for all the tips and tricks he has to offer. Craig Charity took the cafe baristas and gave them the lowdown on his philosophy. Matt Carter took the beginners and home baristas and dropped some knowledge on them. We played on a LaMarzocco Linea, a Nuova Simonelli Competizione and a Franke T400. Everyone came away from the event having learned something and met someone new. In the end, we hope that this Guild will inspire pride in the craft that is being a barista, and believe us that will mean much better quality in the cup and much better knowledge from the barista at your local cafe. We signed up the first 50 plus members! Welcome baristas! Beautiful photography from Erin Wulfson captured the moments perfectly. You can check out the Factory Cafe's gallery here. Watch this space for the GP Chapter Launch. In the meantime, you can join online, download this form, fill it out and send to us to get on board the BGSA train.